We have created it. 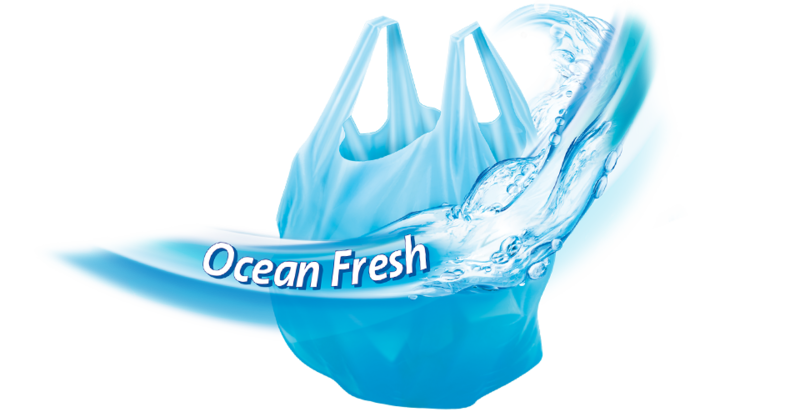 Cool, fresh and maritime - our Swirl® scented bin liners ocean are not only clean, they also give you a good feeling! Swirl® scented bin liners leave a fresh ocean fragrance when you put them in the bin and ensure a pleasant feeling of cleanliness and freshness. Swirl® scented bin liners are very tearproof and are naturally waterproof. What a shame that you can't smell the feeling of going on holiday. Our Swirl® scented bin liners are though reminiscent of the cool freshness of the water - and they give off a fresh fragrant breeze as soon as you open your bin. This makes emptying the bin really pleasant! Choose from two sizes: Swirl® scented bin liner Ocean for 5 litre bins (45 pieces) and 10 litre bins (40 pieces). The bags are also very practical: The carrying handles are great for closing and carrying. What more could you want?